I am frustrated by the Better Business Bureau’s “shoot first and ask questions later” policy in pulling my A+ rating for an advertising review. I wrote about my original complaint with BBB staff behavior at https://novaktony.wordpress.com/2013/10/05/the-detail-of-my-complaint-against-the-better-business-bureau/. I became aware that the BBB replaced my A+ rating with a “NR” (not rated) on September 28 when a customer tipped me off. The BBB made no effort to contact me about their action or to attempt to resolve any concern in an informal manner before taking the rating action. 1. I was asked to verify my membership with the New Jersey Sociatey of Certified Public Accountants. That was simple since the association just published a flyer advertising me as a member presenter for an upcoming Webinar. 2. I explained why OnlineAdviser/OnlineNavigator service is limited. It is limited simply because it is a one-man part-time project. I can handle limited amounts of inquiries but fortunately, this has never been a constraint for Internet users because I catch up on inquiries in the evening and early morning hours. 3. I was asked to explain why there was a refund question when the OnlineAdviser/OnineNavigator service is offered as a free service. Fair question. My service was not always free and may not be free in the future. Additionally, it is possible that a free service customer could convert to a paying customer in the future. Although I’ve never been asked for a refund, I just think it is a good business practice to have a refund policy published. I hire the BBB at a cost of $360 per year (no small expense to a small practice like mine) to independently confirm to the public that I hold to fair business practices and to confirm that I have no history of consumer disputes. Having worked an online-based accountant for almost two decades, I feel that my business projects and my clients have been both pioneers and leaders in developing best practices within the inline financial services industry. Clearly the current BBB online listing of my membership does not reflect that. My BBB account has been listed as “not rated” and “under review” for more than a week. Their concern seems to center on the fact that I offer advisory services for a fee (usually negotiated with an employer or association) and now offer a mini-service via social media for free to the public through OnlineAdviser and OnlineNavigator, as two of my online business trademarks. As far as I know, there is still no restriction in the United States for offering a professional service pro bono to some people and for a fee to others. The consulting, accounting and legal professions have been doing this for decades. 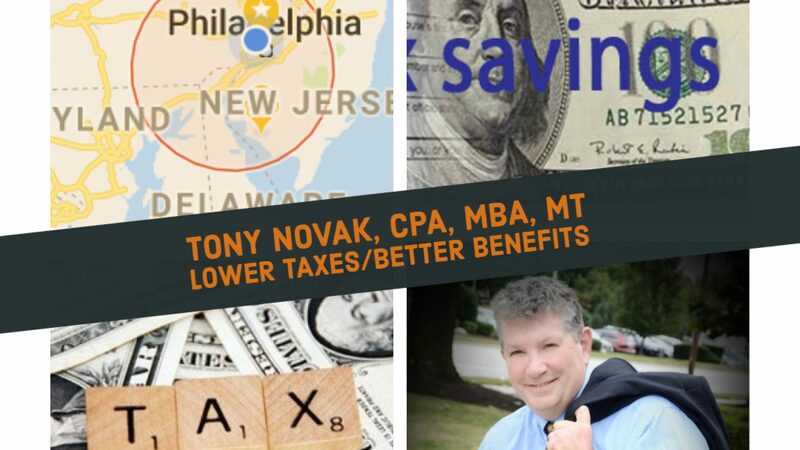 The BBB concern might have been heightened by the New Jersey Society of Certified Public Accountants’ advertisement of a Webinar to be given by “member Tony Novak” when I am not authorized to practice public accounting in the state. If so, this is ignorance of the CPA license process; many CPAs working in industries other than public accounting are not licensed to practice in the state but are still bona fide members of the state association. The BBB says that the timing of their action on the eve of the national health insurance exchange system – an event that I’ve advocated and worked on for almost two decades – was purely coincidental. Specifically, they say that the action was not triggered by any of the bureaucrats or health care companies that I ruffled with recent media campaigns. So I am supposed to believe that at the very climax a a three decade crusade when political and corporate opponents were forced to concede defeat and that the exchanges would be opened as scheduled this simply coincided with a random action of BBB to investigate my online advertising, This is hardly likely. The real proof of my gripe is that the BBB’s concerns, as stated, could have been easily resolved with a brief telephone call. It is easy to verify a person’s professional license simply by calling the association office. It would have been easy for me to explain the reason that I offer free service in a short conversation. There would have been no reason to remove my rating and alarm consumers. But the fact that the BBB chose to remove the rating first, then make an inquiry later leads me to believe that the organization is not being forthright in their communications. I suspect that it is far more likely that some political or business opponent of health care reform prompted the BBB action. While I may never have proof of this, I believe that my suspicions are confirmed by Yahoo Finance writer Rick Newman who also received a similar tip withing the same time period (although he also did not identify his source). In contrast to the BBB, Rick did make a call, was satisfied with the explanations and chose not to publish information about me that consumers might interpret as negative. A copy of the BBB’s inquiry letter and my response letter is published as a matter of fair public disclosure of the issue during the investigation. From a small business owner’s perspective, I think that is is important for others to understand this tactic of removing a business rating can be used by the BBB without any due process. From my perspective, that’s exactly the type of unfair business practice that we suppose the BBB to guard against.